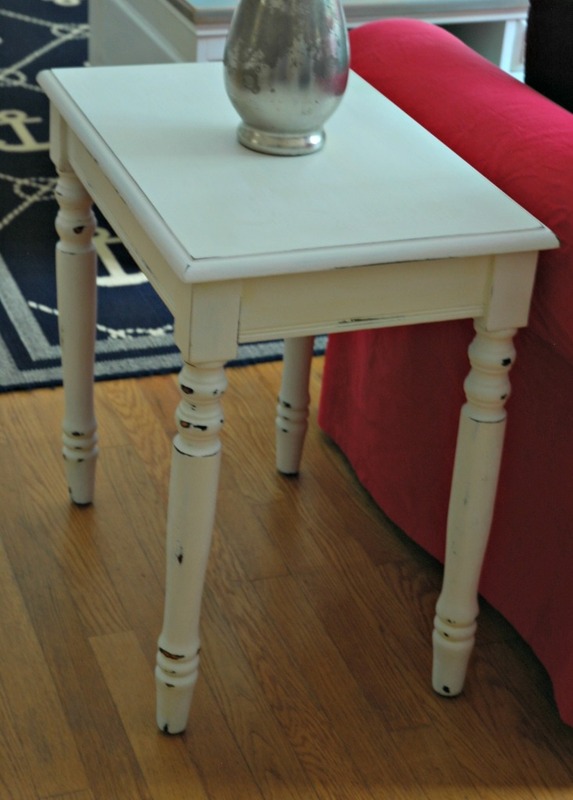 I decided to paint this piece white because I thought it might accentuate the table’s delicate lines and long legs. I knew I wanted to use an inexpensive chalk paint alternative. I experimented again with a baking soda-based paint mixture but this time, I added a bit of water to the baking soda (to make a paste) before mixing it into the latex paint. This prevented the mixture from being as thick as the last time I painted with baking soda-based paint. My work began with a really quick sanding of the entire side table with a fine grit sanding sponge. 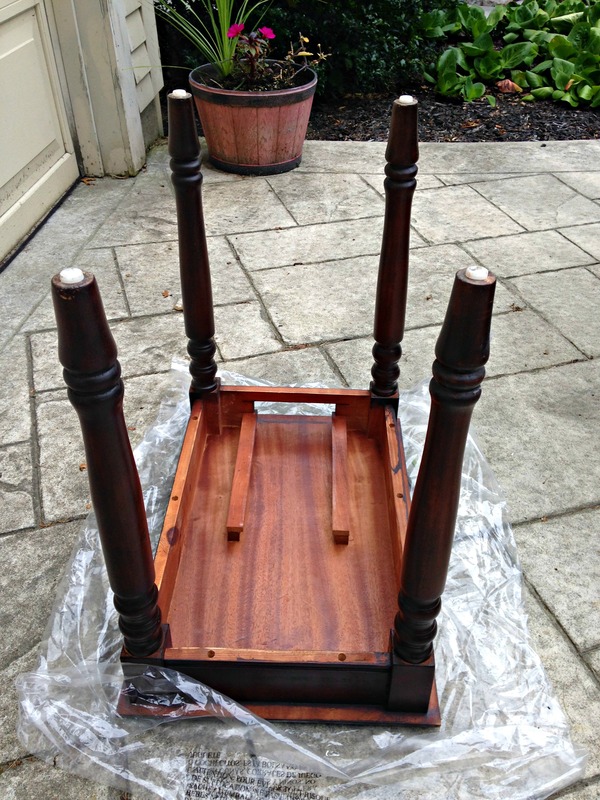 After wiping the dust off with a tack cloth, I flipped the table over onto its top before I began painting. 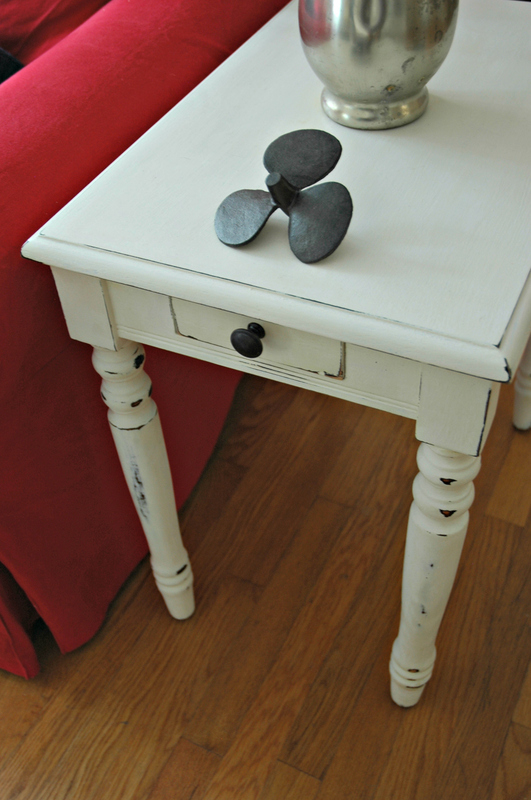 This method is truly the only way to ensure you have painted the table’s feet properly. Trust me. I applied several coats of the baking soda-based paint, sanding lightly between each coat. This paint dries super fast so you only need to allow a few hours between coats. Once the final coat was done, I took a sanding sponge and distressed the areas where I wanted to have the original finish show through. 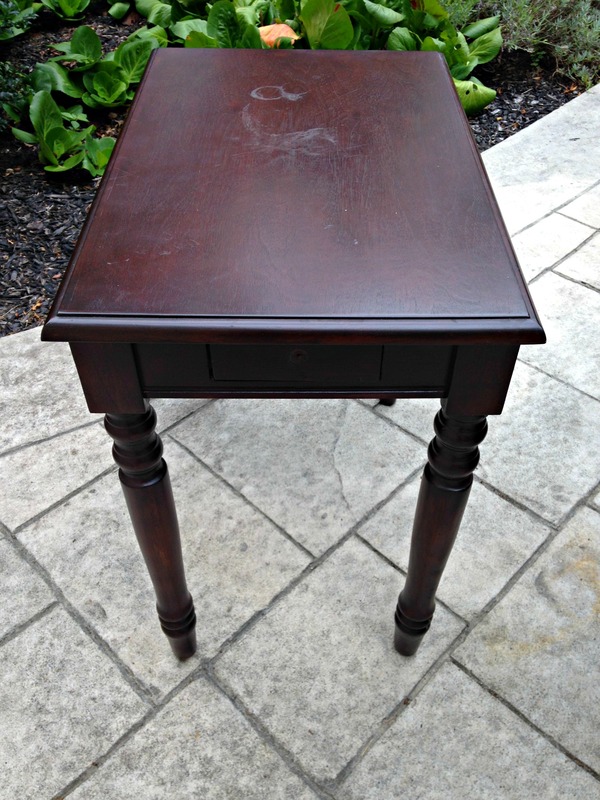 Once it was completely distressed, I sanded the side table’s entire surface with fine grit sandpaper to get rid of the gritty feel left by the baking soda. 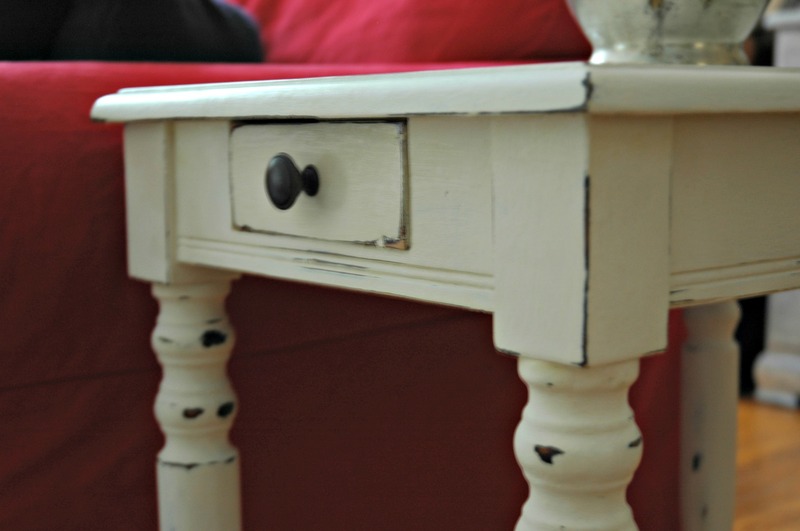 This chalk paint alternative is not for everyone but I have to say it works great for me. 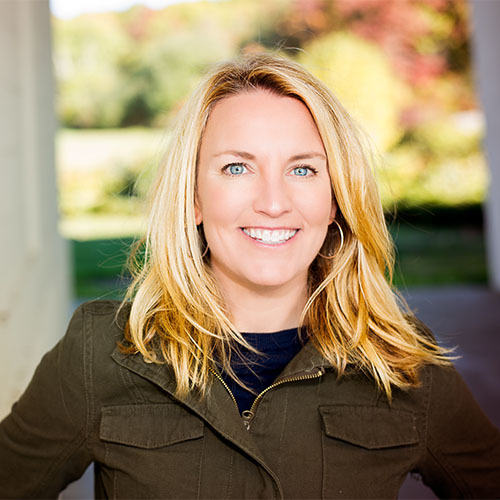 Because it is so gritty during the application, I feel like it is completely goof proof! Any brush stroke issues I have had in the past are completely nonexistent with this paint mixture. As you know from my last post, I’m a wee bit obsessed with baking soda lately. In fact, I have another project brewing on the back burner that also involves baking soda (used in a different method) so be sure to check back in a few days!